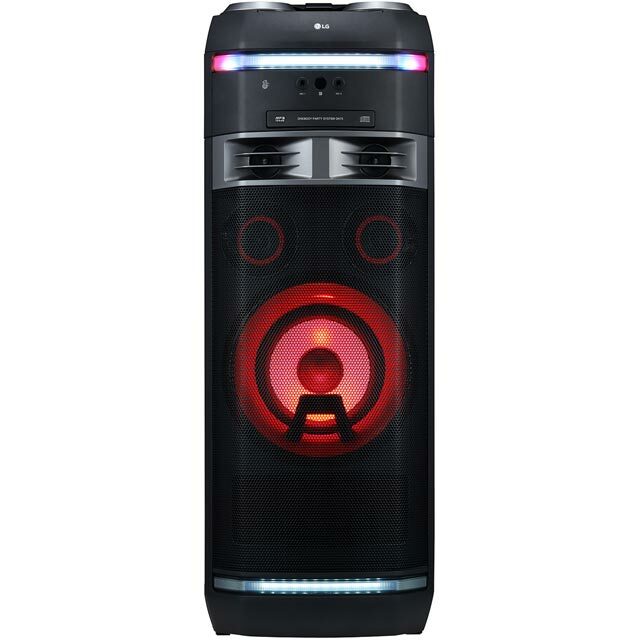 Give your party the ultimate club atmosphere with this massive wireless speaker from LG. it’s designed for portability with a built-in handle and wheels set into the base. With an impressive 1000 Watts of audio power, the gigantic built-in speakers deliver pounding bass tones and soaring high notes. Plus, there’s no need to worry if someone knocks their drink over the speaker as it’s completely protected up to a metre under water. You can also hook up your phone to blast out your party-starting playlist in superb quality. And you can even use Bluetooth to pair up another unit, creating a super-powerful dual-speaker system.